Last winter, the Bureau of Labor Statistics released new data showing that employer-reported injury and illness rates declined to 2.9 cases per 100 full-time workers in 2016. While this data is a great sign for overall workplace safety, the construction industry continues to have a higher rate of occupational injuries and illnesses: 3.2 cases per 100 full-time workers. According to the 2017 Liberty Mutual Workplace Safety Index, approximately 23 percent of the nonfatal workplace injuries are directly attributed to overexertion involving outside sources. This results in significant time away from the job for injured workers, as well costs U.S. businesses more than $1 billion a week. Musculoskeletal disorders (MSDs) and injuries are common and costly, creating possible lifelong problems for the sufferer and affecting safety records for employers. Research is starting to suggest a correlation exists between tool usage and the most common types of MSD cases, such as carpal tunnel syndrome, trigger finger tendonitis, rotator cuff tendonitis, lower back injuries, knee bursitis and elbow epicondylitis. As a result, the word ergonomics is being used in the construction industry more than ever. Indeed, it would be rare to find a tool on store shelves that doesn’t promote some ergonomic benefit. But what does that word really mean to contractors and the companies they work for? What’s the difference between an erroneous claim of ergonomics and actual proven safety improvements? In short, the longevity of contractors and overall company costs can all be positively impacted only when a claim is supported by proper, objective ergonomic measurement. It’s clear that quality workplace ergonomics are good for both employee health and an employer’s bottom line. But the truth is that some tool manufacturers have not measured ergonomics at all, some outsource the measurement process and cannot validate the results, and some only do partial measurements. Manufacturers that understand the seriousness of the science bring all of that work in-house, making their team of ergonomics professionals a crucial part of the tool development process. These professionals help design and evaluate products and work environments around the user’s strengths and limitations. Their goal is to identify and reduce injuries to help workers retire with the same strength and health as when they started their careers. Milwaukee Tool, for example, has adopted an innovative process called electromyography (EMG) that uses the electrical activity produced by a person’s skeletal muscles to record muscle effort during a tool’s use. With the ability to measure up to 108 unique muscle groups throughout the body, the use of EMG technology to produce tools that reduce peak muscle efforts and fatigue is helping workers age and retire with greater strength and health. Ergonomists will also look for other risk factors in tools, such as high levels of noise, vibration and required force. While some exposure to these risk factors isn’t necessarily hazardous, exposure to high thresholds of these categories puts workers at risk for injury. For companies that focus primarily on price point, opting for less expensive tools may solve a short-term need, but a safety-focused firm’s primary goal should be buying tools that keep workers safe and healthy. In addition, workers are demanding attention to their health and want objective data to back up the claims of ergonomic tool manufacturers. Forward-thinking manufacturers have made improving ergonomics a priority and a part of their company DNA. Through a complete in-house process that works hand-in-hand with their product design teams, these manufacturers are making the jobsite safer for employees. As companies start to investigate the impact ergonomics has on their experience modification rate (EMR), they will identify that users who are working with improved ergonomics tools are not likely to develop the same rate of injury as those who are using poorly designed tools or hand tools. 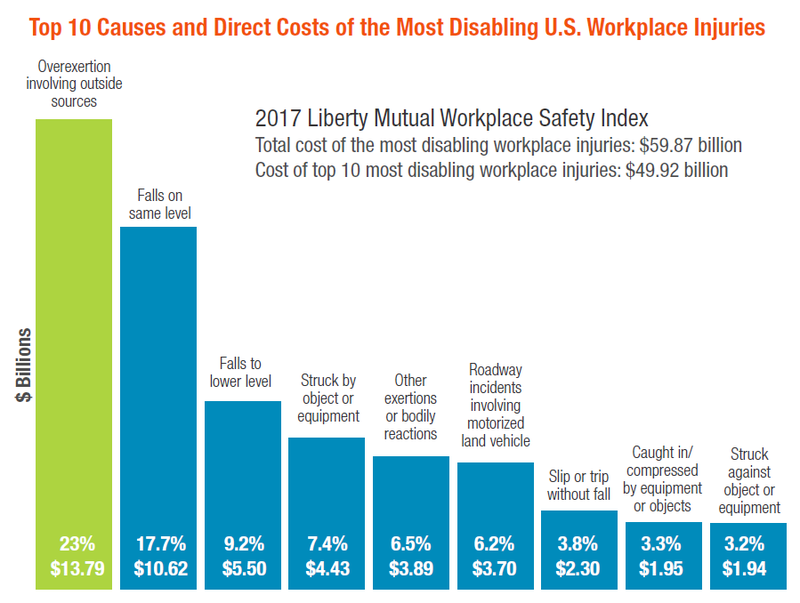 This accounts for decreased OSHA recordable claims for MSDs, consistently improved EMRs, lower insurance premiums and more competitive bids. Don’t You (Forget About Me): Can Former Managers’ Statements Bind Companies in OSHA Investigations?